The spacious Toyota Avalon Hybrid is back for 2016 and has the same comfortable interior. 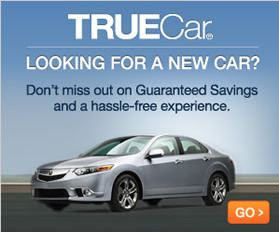 With its standard features and great fuel economy, this full-size sedan remains a top economical choice among consumers. For 2016, the Avalon Hybrid has a new and improved grille. The front turn signals were also redesigned for a better look. Although the Touring trim is still available for the standard Avalon, it is no longer available for the Avalon Hybrid. An optional charging station for mobile phones was added. There is also a new option to add the Toyota Safety Sense package. 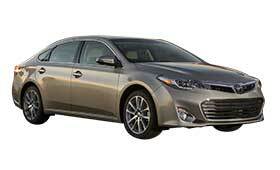 The Toyota Avalon Hybrid is only available as a sedan. It comes with front-wheel drive and an automatic transmission. There is a gas engine and a nickel-hydride battery for the electric motor. With four cylinders in the gas engine and a fuel economy estimate of about 40 miles per gallon, it beats most sedans of similar size in fuel efficiency. The XLE Plus trim comes with an in-dash compass and auto-dimming rearview mirrors. For added aesthetic appeal, it has a power moon roof with a sliding shade for sunlight. It also comes with a hidden exterior exhaust system. In addition to the XLE Plus features, the XLE Premium package adds Pandora, iHeartRadio and many other stations. For safety features, it has sensors for cross traffic and blind spots. It also has a wireless charging station. The Hybrid Limited is the top trim package and adds to the XLE Premium features. It comes with automatic climate control. The front wipers have rain sensors, and there are daytime LED running lights. On the inside, there is satellite navigation. Seating is optimized for comfort with power adjustments, heat and ventilation. With the luxuries of the upscale trim packages, drivers may not feel like they are sitting in a traditional Toyota. Although it has a firm ride experience, the 2016 Toyota Avalon Hybrid is comfortable on the inside. It has a solid and balanced feel while in motion and has good handling for curves and turns. Since it has a powerful electric motor, the gas engine does not have to put out as much effort to accelerate quickly. When accelerating, the electric motor handles movement up to about 25 miles per hour, and the gas engine kicks in after that. While its overall performance ratings are between average and good among most drivers, one concern is how the vehicle handles in wet conditions. Some drivers complain about it not handling as well as some of its competitors perform in rainy conditions. Keep these considerations in mind when taking a test drive in the 2016 Toyota Avalon Hybrid.